The stories are true, but they are not true. Some properties are selling far over asking price. Many are selling in the first week of marketing, with multiple offers. We are in a seller’s market. That should be good news to homeowners, especially ones that are contemplating selling. But, it is not a slam-dunk that you can sell anything for any price. The first thing to keep in mind is that asking price is an anchoring tool* to get buyers interested in a place. Some asking prices are set low compared to market price — to get many in the door. Some are set at market price. Some are set above it. Properties that are priced for sale within $10,000 or so of what buyers should pay for them also get attention from buyers. They are slightly less likely to start a bidding war, but are more likely to attract buyers who can afford your home. Also, if you under-price a property, then don’t get a bidding war, it is awkward to raise the price. 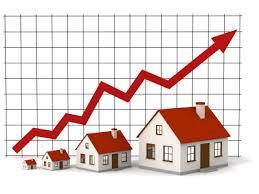 Overpriced and otherwise poorly marketed properties are still not selling. There are many things a seller or seller’s agent can do that will hurt a house’s marketing. As buyer’ agents, we watch for houses that will sell for less because of these mistakes. A common marketing example is that when a price is discounted, many consumers think it is a bigger bargain the larger the discount, even if the primary figure is grossly inflated. This is seen in discount department stores that have “compare at” figures that state a tag price two or three times the current tag price. 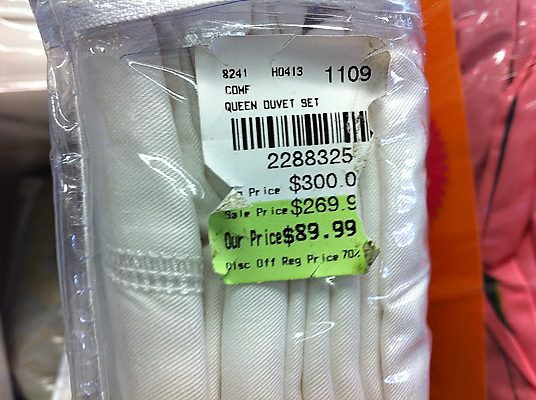 Consumers are more likely to buy the marked down item than they would buy the same item simply marked with the final sale price.